As Congress weighs lifting or suspending the U.S.'s debt ceiling, Treasury Secretary Steven Mnuchin on Friday dismissed any possibility that the U.S. would default on its debt. "We'll be fine," said Mnuchin at a joint press conference with Canadian Finance Minister Bill Morneau in Ottawa. "This is not an issue, but I don't want to leave any doubt that we have plans and backup plans," said the former Goldman Sachs banker following a one-day bilateral meeting between the U.S. and Canada. When asked what those backup plans would be, Mnuchin referred to them as "Treasury secretary super powers." 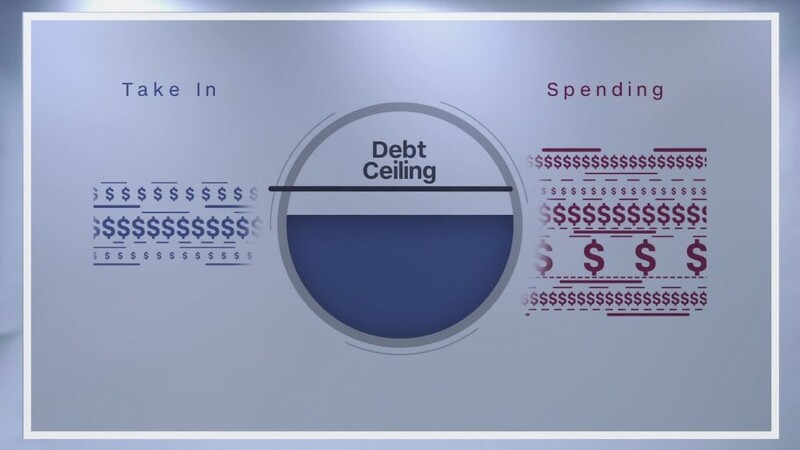 A suspension of the debt ceiling expired in mid-March. Since then Treasury has had to use special accounting measures to preserve the country's ability to borrow new money without breaching the $19.8 trillion limit on accumulated debt. While Mnuchin has yet to offer an estimate of when those special measures will be exhausted, the Congressional Budget Office and the Bipartisan Policy Center have estimated that they likely would run out by mid-fall. If Congress waits too long to either raise or suspend the debt ceiling again, Treasury will no long be able to pay all the country's bills in full and on time, which could send markets into turmoil. Mnuchin has repeatedly urged lawmakers to act "sooner rather than later" to increase the nation's borrowing limit before the Treasury Department runs out of emergency measures to avoid heading into default. "We hope that this is addressed prior to August, but we are comfortable that we have a pathway to make sure we don't have issues," said Mnuchin. Lawmakers are expected to go home to their districts at the end of July and won't come back to Washington until after Labor Day. Last month, White House budget director Mick Mulvaney added urgency to the issue, suggesting Congress may need to raise the debt sooner than the administration had anticipated. "My understanding is that the receipts currently are coming in a little bit slower than expected and you may soon hear from Mnuchin regarding a change in the date," Mulvaney said at a House hearing in May. Mnuchin has yet to offer any additional guidance. On Friday, he acknowledged that such tax receipts were "somewhat lower" due to anticipation of a tax overhaul, but did not express any immediate concern.